Disney World is a big place with more to do than can possibly be done in one trip. Most people spend months or years planning their trips. And yet, many parents forget to prepare their kids for it, and then they are disappointed when their children have meltdowns while there. By taking some time to prepare your kids in advance of your trip, you can prevent some of those meltdowns. Here are some tips on how to prepare your kiddos for Disney World. One universal truth about Disney World is that you will do a lot of walking while there. Most people will average between 8 and 10 miles PER DAY! We have had a few days where we pushed 12 miles. That’s a lot of walking for anyone, but especially kids. Because of this, some people rent strollers for their children, even when they are 6, 7, or 8 years old. I, however, took a different approach. I was determined to get rid of the stroller as soon as possible. Our first trip without a stroller was 2 weeks after my son turned 6. In the months leading up to that trip, I made it a point to train him for the walking. Two to three times a week, we would go for family walks. We started with just a walk around the block. Each walk would be a little longer than the one before. We eventually got to a point where Boston was able to walk for a mile or more at a time without stopping. 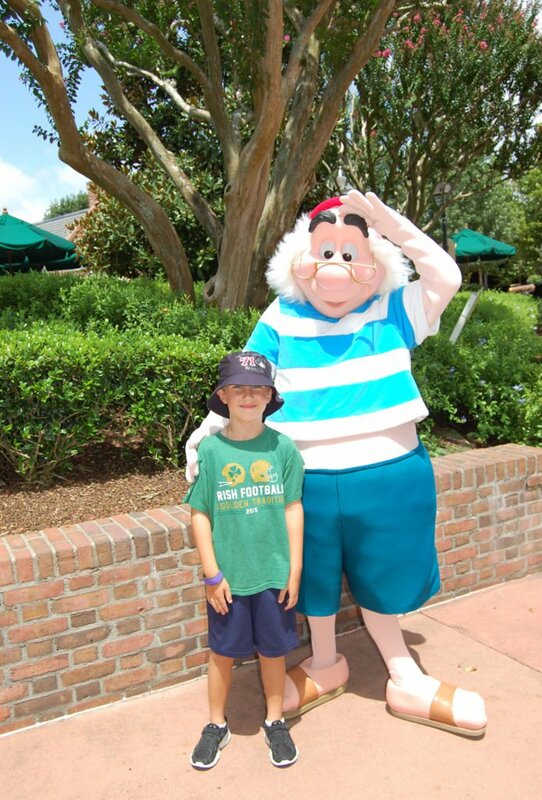 By the time we got to Disney World, he had no problem walking so much. There were only a couple of times during the course of the trip that he even asked to be carried. Tip: Take your kids on walks prior to your trip to prepare them for all of the walking. 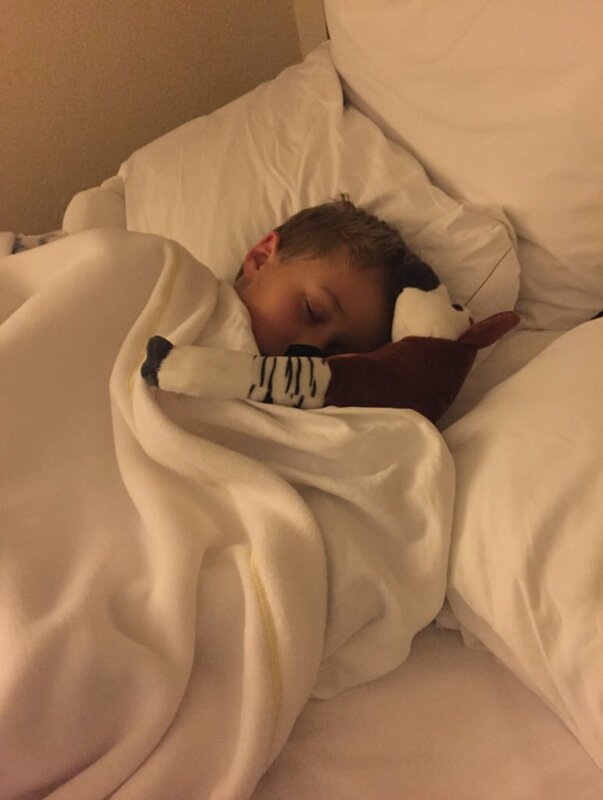 The days at Disney are long and tiring. Some people get up early to hit rope drop and then turn in early. Others sleep in and enjoy late nights at the parks. Still others, like us, do both early mornings and late nights with a nap in the middle of the day. Regardless of which approach you take, be sure to plan in some time to sleep or you will have some cranky kids on your hands after a day or two of your trip. It has been a long time since Boston has taken daily naps at home. However, when we are at Disney, naps are a mandatory part of the day for every one in the family. It is one of our few “Disney rules.” To prepare Boston for this, I always remind him prior to our trips that he must take a nap every day while we are there. I explain to him that the trade off for taking naps is that he gets to stay in the parks late at night to watch the fireworks and experience the attractions. He knows that it is just a part of being at Disney. He doesn’t argue about Disney naps. In fact, the daily siesta is a welcome break for him. Tip: Decide when you are going to work sleep into your busy Disney days, and then talk to your kids about it in advance. Most of the characters that you can meet at Disney World do not talk. The exceptions to this are the princesses, a few other “face characters,” such as Aladdin, Alice, and Mary Poppins, and Mickey Mouse in Town Square Theatre. However, when the characters are in shows and parades, they do speak. This can be confusing for some younger children. To prepare your kids for this, explain to them in advance of your trip that the characters will probably not talk to them when they meet them. Tell them that they must save their voices for the shows and parades. Most kids will be accept this explanation. But, it’s better to do it before you get there than while standing in front of Donald Duck! Tip: Explain to your younger children that most of the characters don’t talk during the meet and greets. Disney rides and attractions are much tamer than you will find at other amusement parks. However, there are some experiences that are still frightening to smaller children. In preparation for your trip, think about what things are likely to frighten your children. Boston’s biggest fear is the dark. 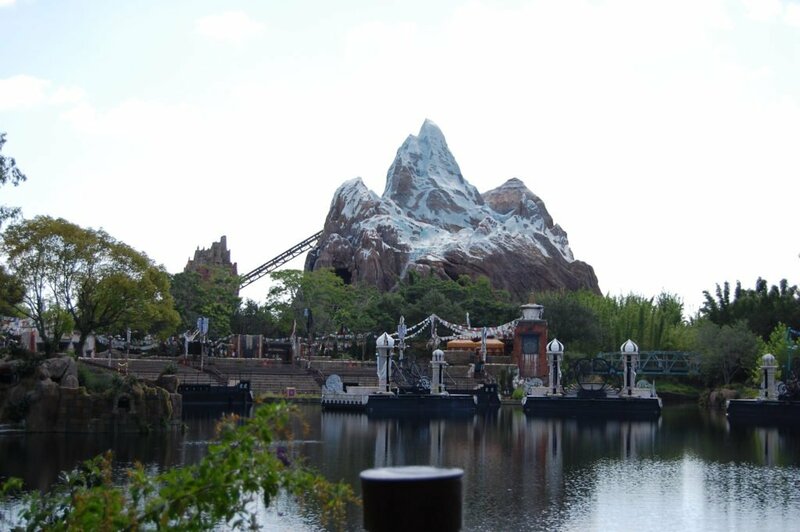 So, he is scared of any of the roller coasters that have dark sections, like Expedition Everest. It’s important for me to know which attractions are in the dark, so I can prepare him for that. If he knows what to expect in advance, he can be ready for it. It also allows him to choose to not ride a particular ride if he wants. This greatly cuts down on his anticipation and fear of the rides. If you aren’t familiar with the various attractions at Disney World, spend some time watching videos on YouTube or grab a copy of the Unofficial Guide to Disney World. It has a description of every attraction in the parks and will give you warnings on things that are likely to scare children. Tip: Learn about each of the attractions so that you can anticipate which ones are likely to scare your young children. Talk to your kids about those attractions and show them videos from YouTube so they can know what to expect. A trip to Disney World is expensive. There are gift shops at every turn tempting your kids with countless souvenirs. Chances are, your kids will be constantly asking for things. If you anticipate this, you can prepare for it before you arrive. You can read an entire article on ways to eliminate these “I wants” from your kids here. 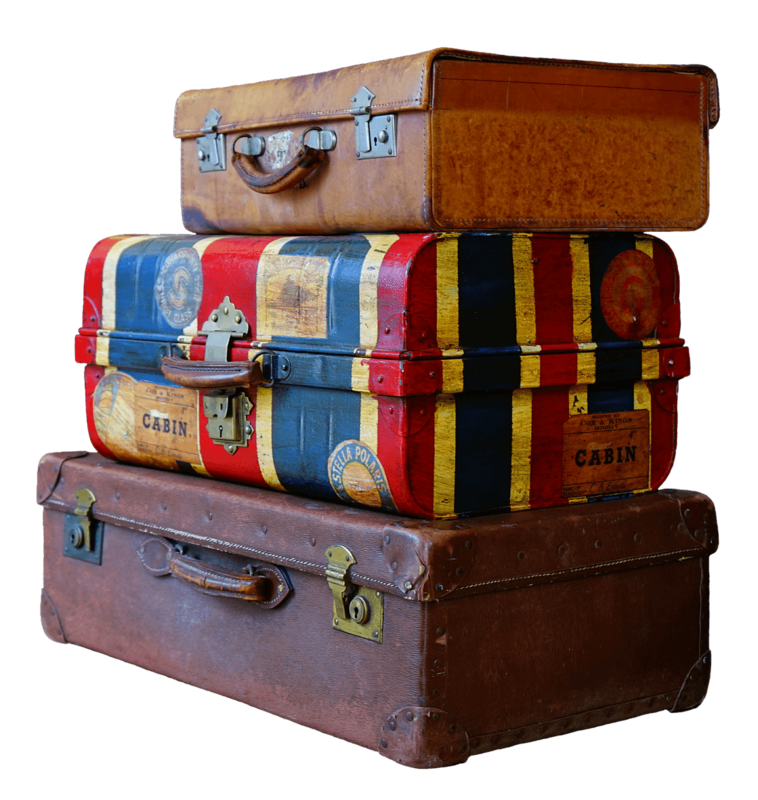 By deciding on a method to handle this aspect of the trip before you leave home, you can save yourself some money on souvenirs. It also helps to talk to your kids prior to your trip about how much money they will be allowed to spend on souvenirs. 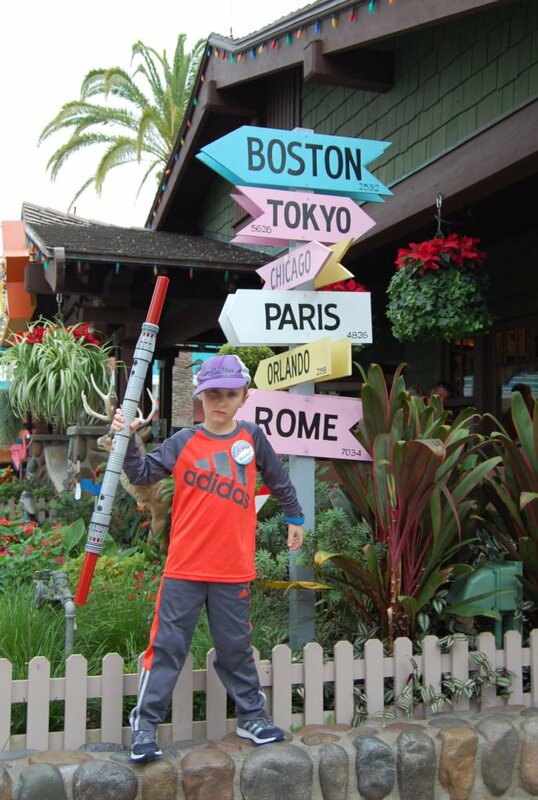 Tip: Decide on a method to limit the souvenirs that your kids ask for while at Disney World before your trip. Talk to your kids about how much they will be allowed to spend while there. Most people spend a lot of time planning for their trip to Disney World, but many forget to prepare their children for the trip. There are several things that you need to talk to your kids about in order for them to be ready. 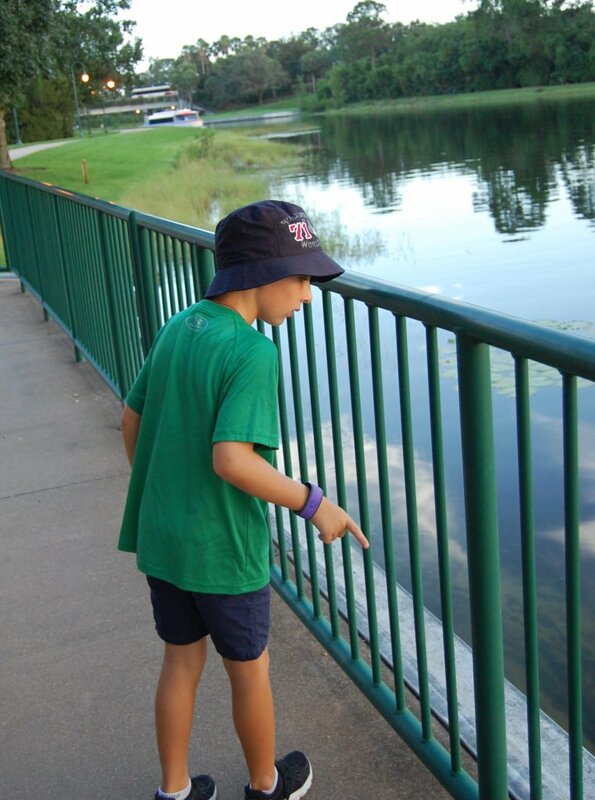 Take some time to train your kids for lots of walking and talk to them about what to expect while at Disney World, and you will be able to eliminate many of the common meltdowns. The better prepared your kids are, the easier your trip will be on the whole family. 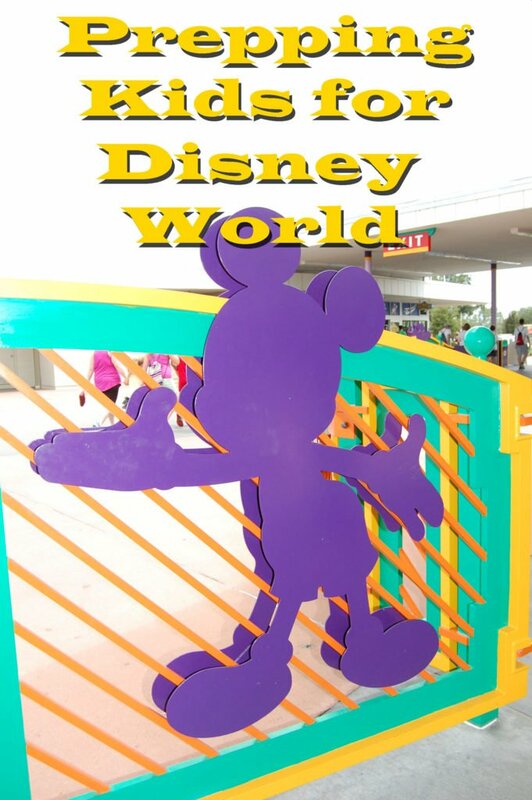 I hope these tips help you to know how to prepare your kids for Disney World. Happy travels and have a magical day!